The Southern Sailing Club will honor Chattahoochee Riverkeeper once again at this year’s Love the Lake Open Regatta on September 8-10. 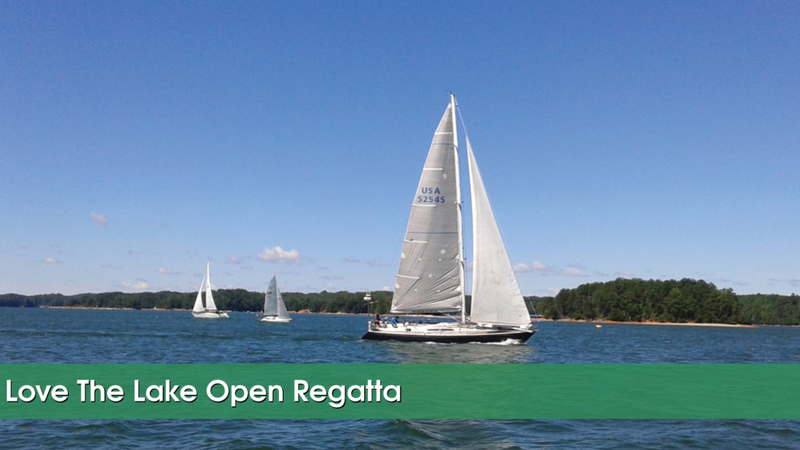 This three-day event will be held at Sunrise Cove Marina on Lake Lanier in Gainesville, GA. CRK supporters that are sailors and non-sailors alike are invited to join the event! Funds from this event will help support the programs in the Headwaters Office. The Southern Sailing Club has honored the Chattahoochee Riverkeeper once again at this year’s Love the Lake Open Regatta. This event was held at Sunrise Cove Marina in Gainesville on September 9-11. Attendees enjoyed sail boat racing, shoreline clean-up, silent auction, raffles, food and drink throughout the weekend. All proceeds collected went to help support the programs in the Headwater’s Office. With continued threats to our river, CRK needs your support more than ever. If you are interested in sponsoring this event, please contact Janet Westervelt at JWestervelt@chattahoochee.org or click click here for our sponsorship packet.